Thompson, Janice. Every Bride Has Her Day: Brides With Style Series. Grand Rapids, MI: Revell Publishing. 2016. 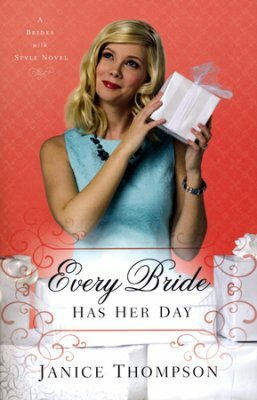 Perfect for the upcoming wedding season, a beach read, or a lazy summer afternoon, Every Bride Has Her Day is perfect. 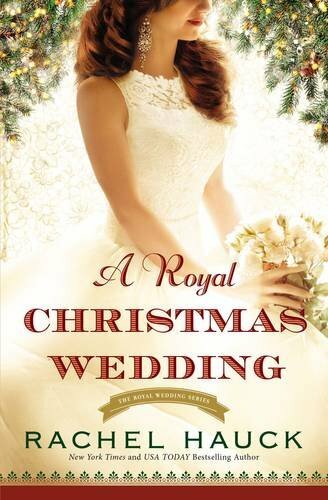 Having read the previous books in this series, author Janice Thompson has become a writer I look forward to reading. Light yet full, this story shares some important messages while offering fun, faith and clean romance. I love the cover to all the books in this series as well as the cute stories found within. Chezar, Ariella. The Flower Workshop. USA: Ten Speed Press Publishing. 2016. 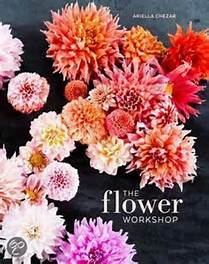 Beautiful ideas, gorgeous arrangements, timely presentations and easily followed directions all accompany the stunning photographs in author Ariella Chezar’s new book, The Flower Workshop. Included designs range from simple to a bit more involved, as well as cover arrangements for wreaths, displays, celebrations and tables. All uniquely patterned for full enjoyment, flowers certainly add charm, sophistication, contentment and spirit to any location adorned. Known for her flower workshops, the author provides step-by-step instructions, advice and philosophy, and various options for success, all with beauty in mind. Though by no means overly artistic, even I was able to easily and enjoyably create a masterpiece (in my mind anyway) for my front door. With years of experience in flowers, author Ariella Chezar effectively details how to design bouquets, vases, wreaths, garlands and arrangements to meet any needs and/ or grace any site. The photography only enhances a wonderful how-to book made for the novice yet embraced by the more advanced; this book is perfect as a gift or for personal use. Everson, Eva Marie. 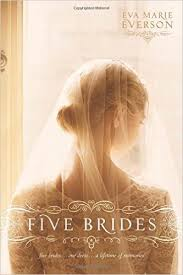 Five Brides. Carol Stream, IL: Tyndale House Publishers, Inc. 2015. Such a unique yet partially true story! Based on the experience of one of the involved brides, liberties were taken (with permission) to fictionally fill-in the story. Though I had a bit of trouble starting the book, the pace did quicken as the pages turned. Five women, each with a special story, were well characterized and incorporated into this novel. Though I did have my favorite character, I was curious how the stories would intertwine, with a common ending. Written in a circle-style manner, perhaps the author, Eva Marie Everson, would consider continuing the story with the next generation? Thompson, Janice. 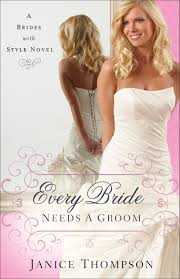 Every Bride Needs A Groom: A Brides with Style Novel. Grand Rapids, MI: Revell Publishing. 2015. Such a creative storyline full of humor, forgiveness, amusement and sequins, Every Bride Needs A Groom was a fun novel to read. 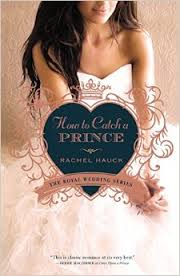 Perfect for the upcoming wedding season, most girls love a book centered around glitter, jewels, gowns and of course, cute guys. 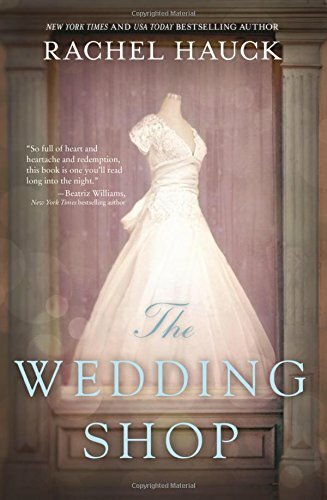 Toss in a bouquet (sorry, couldn’t resist the pun) of forgiveness, challenges, God’s timing and grace, and Janice Thompson accomplishes a wonderful new novel as the first in a new series, Brides With Style. Love the salute to Loretta Lynn as well! Fisher, Suzanne Woods. Christmas at Rose Hill Farm: An Amish Love Story. Grand Rapids, MI: Revell Publishing. 2014. Being unfamiliar with many of the characters from the Rose Hill Farm Amish community, I was still able to follow the story quite easily. In fact, I plan on returning to Rose Hill Farm now to meet the other neighbors in the community. 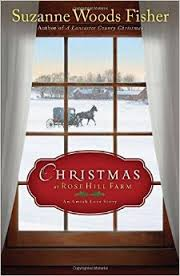 Well written with a few unexpected surprises yet true to the Amish storyline, I enjoyed Christmas at Rose Hill Farm, particularly at this time of year. I especially found the cover to be very appealing, reminiscent of the story found within. Ganshert, Katie. An October Bride: A Year of Weddings Novella. Grand Rapids, MI: Zondervan. 2014. 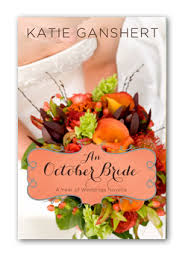 As a new author for me, I truly enjoyed Katie Ganshert’s style of writing. 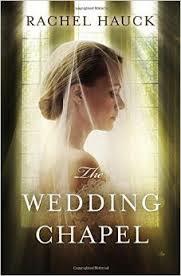 (The entire collection of wedding novellas has introduced to me to many new authors.) 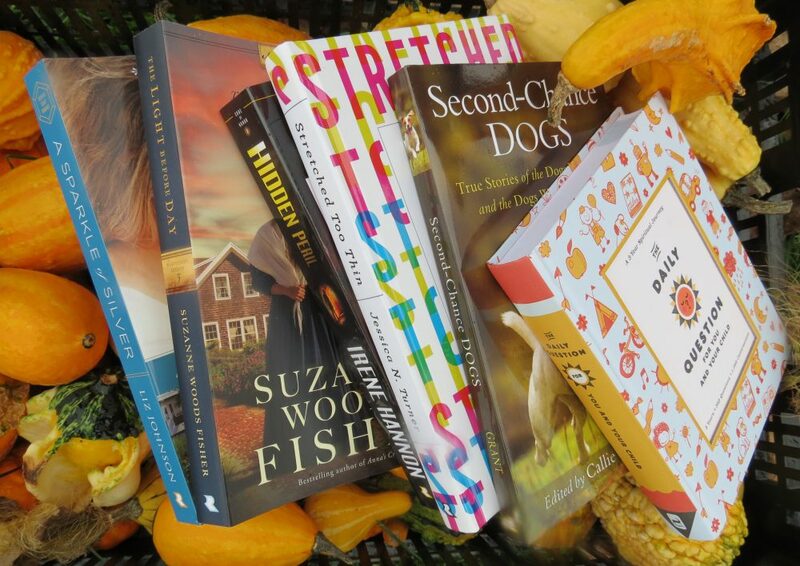 With humor, compassion, faith and reality, An October Bride was probably one of my favorite novellas yet. Of course I appreciated the setting in Wisconsin (Go Brewers) too! Cutely written yet with a deeper meaning underneath, An October Bride is perfect for A Year of Weddings Novella series. Definitely an author I will now seek out further to read; I appreciated the “wordiness” with which she claims she writes!